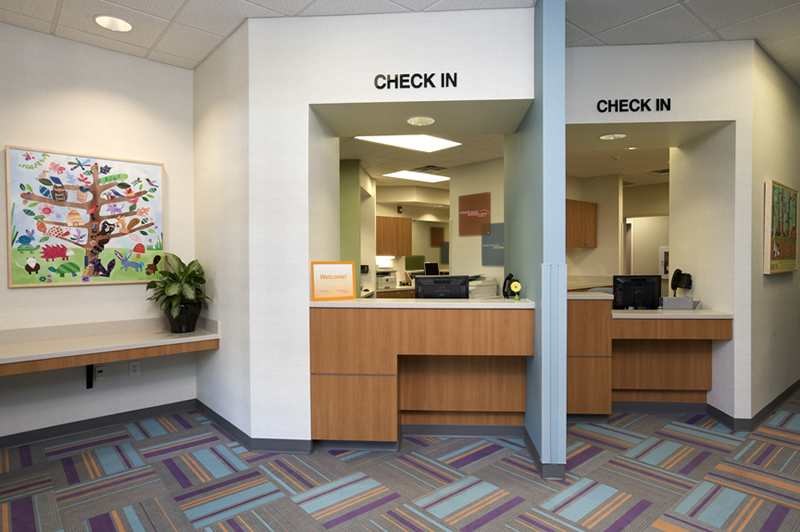 Robinhood Pediatrics was in the process of rebranding when they selected Hayden Design to develop the interiors of their new 17,000 sf practice. 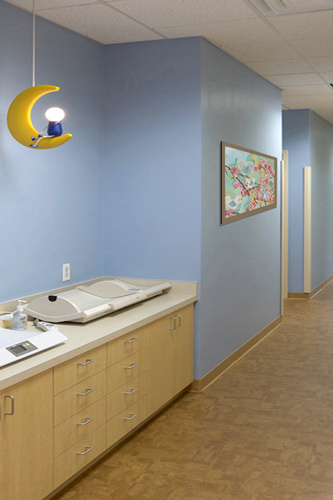 An important aspect of the interior design was to create spaces which uniquely defined both their adolescent and pediatric practices. 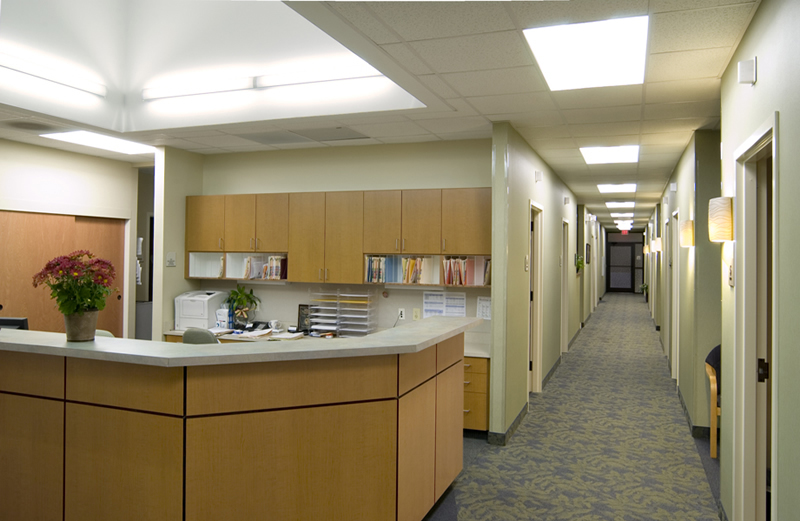 Robinhood Pediatrics offers dedicated care for their adolescent patients and needed to have space which was comfortable and welcoming to that population as well as the younger patients and families. 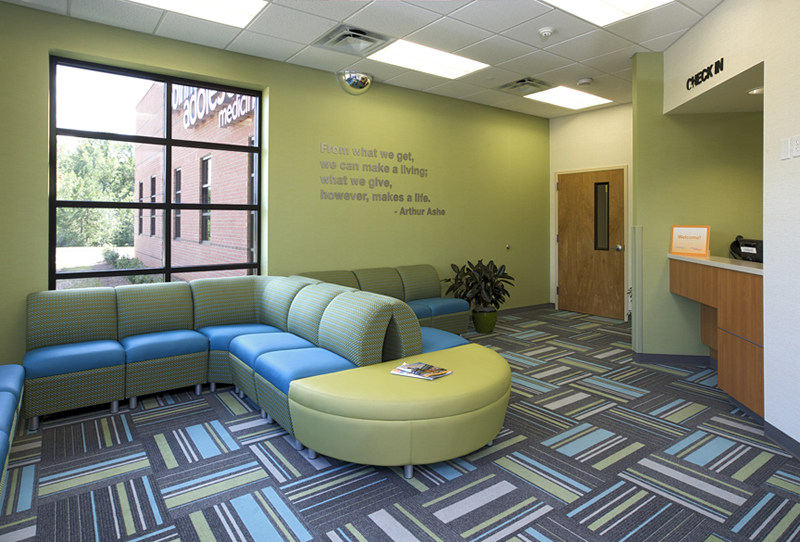 The colors, materials & furnishings tie into the new brand logo and palette. 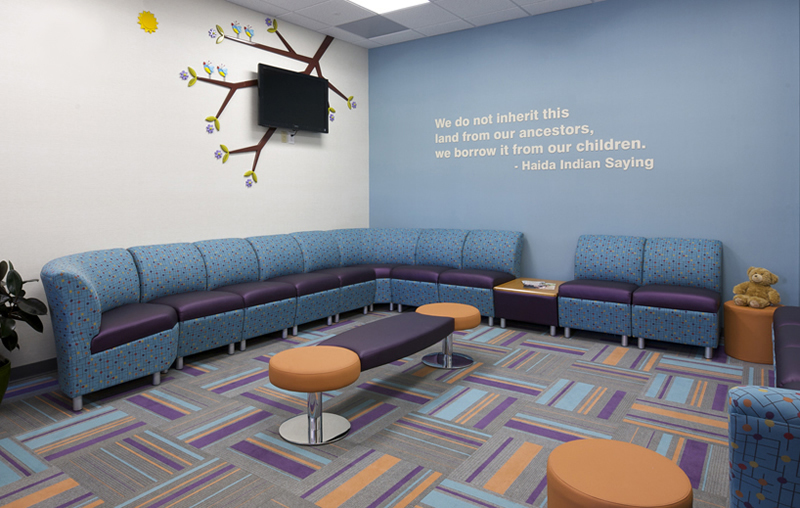 Wall quotes and diverse world artwork highlight the practice’s belief in community service and respect for the environment. 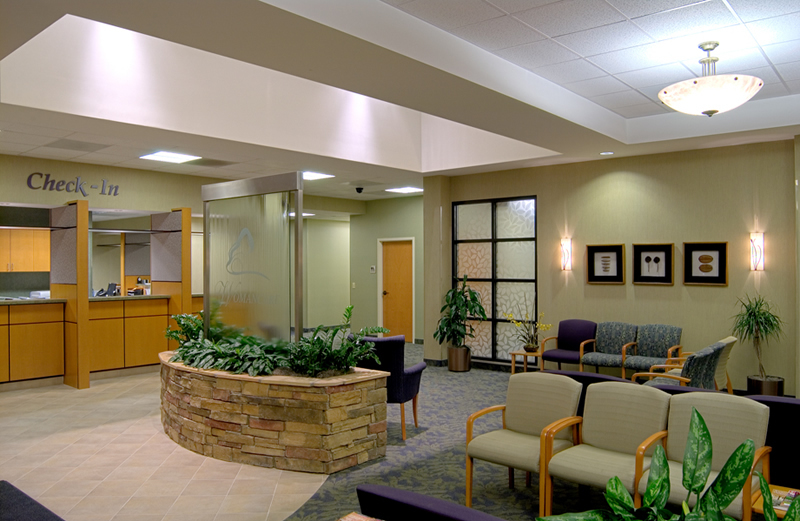 When Hayden Design first designed the interiors for this Ob/Gyn practice in the mid 90’s, the physicians wanted the space to be very feminine and oriented to their Obstetrics practice. 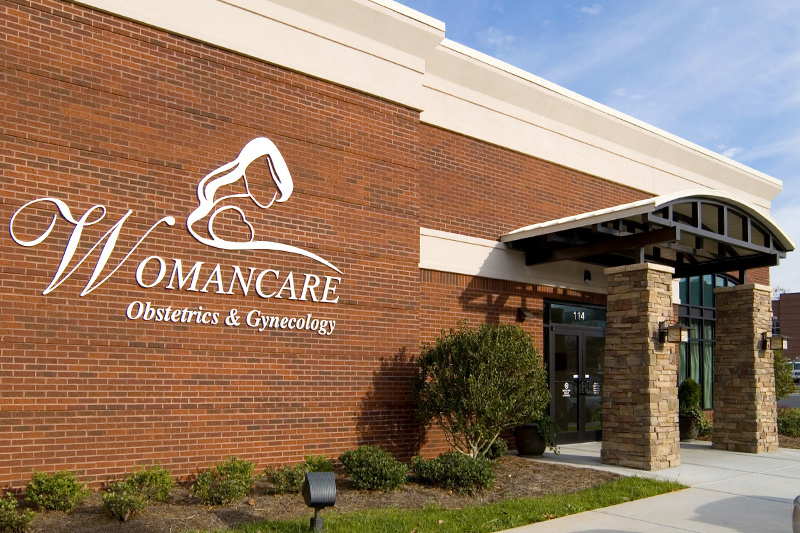 Ten years later, as they grew their practice, expanded services and built their own building, the physician’s vision was different for this space. 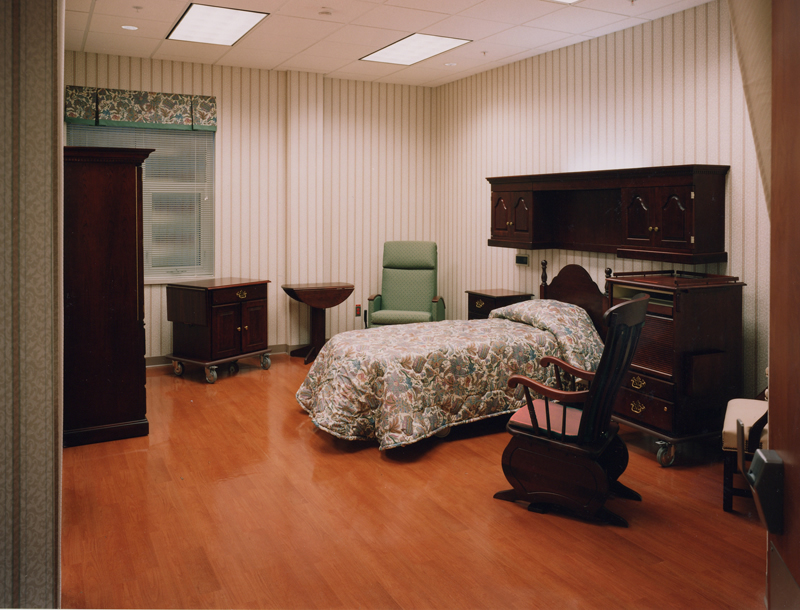 HD was retained again to create a facility which was comfortable to women of all ages and stages in life. 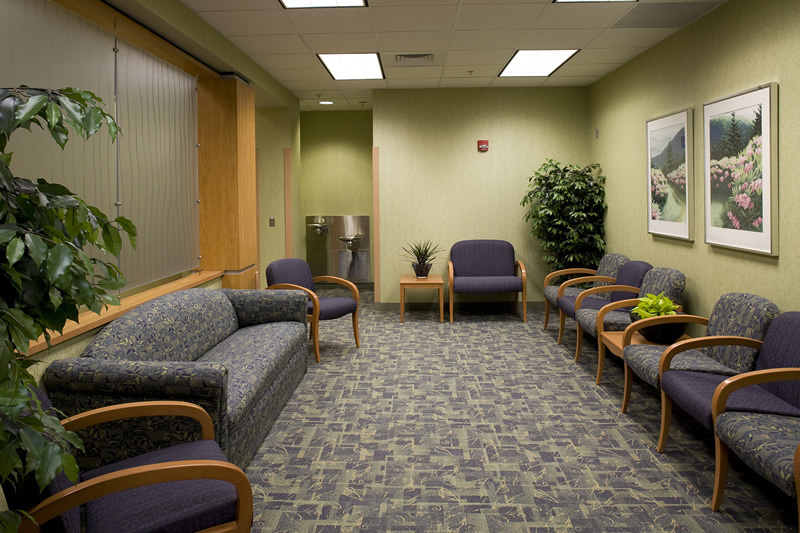 It was important that the space be inviting for the women and their husbands and partners and for new mothers as well as those with fertility challenges. 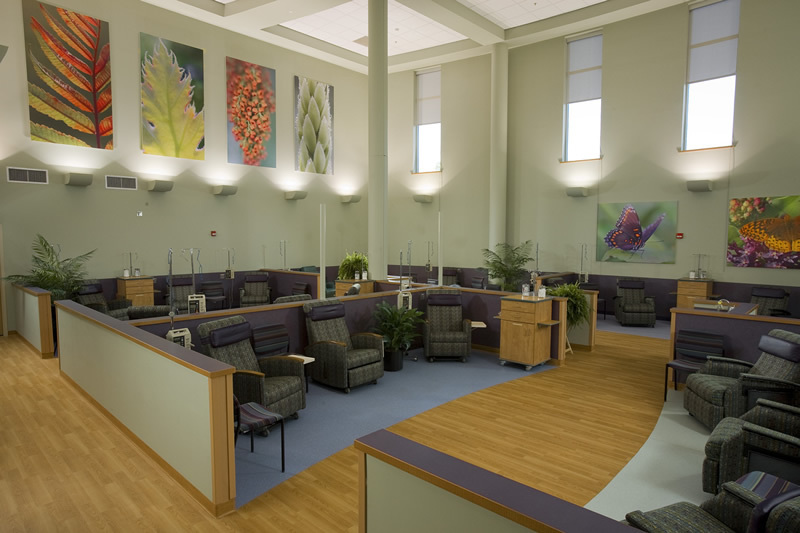 HD created a space with a spa / wellness theme which incorporated natural textures and tones, organic shapes and vibrant, nature photography. 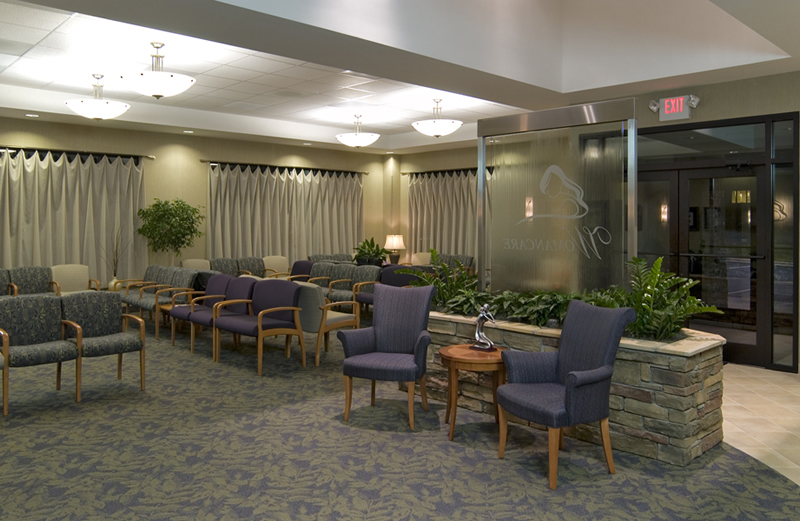 A distinctly different place for healing is the thought that comes to mind as patients and family members enter this soothing, nature focused facility located at the Forsyth Cancer Center. 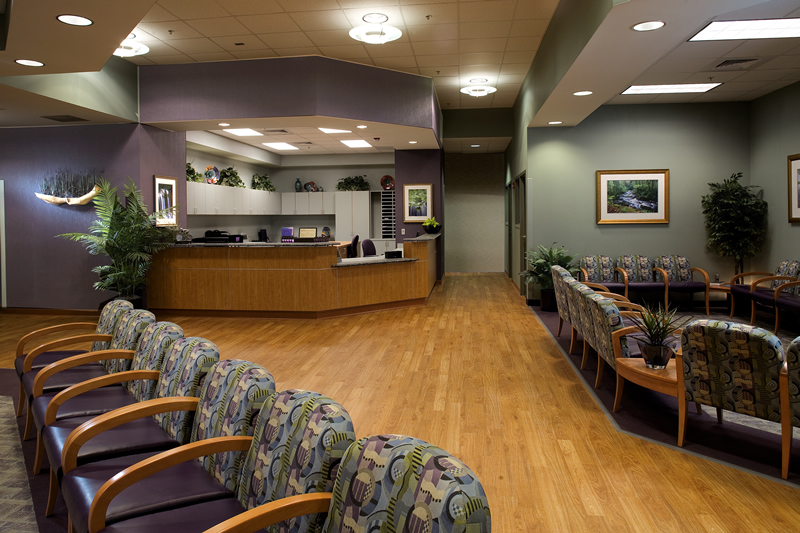 In this 52,000 sf space, soothing colors, textures and art combine to evoke a sprit of healing and caring. 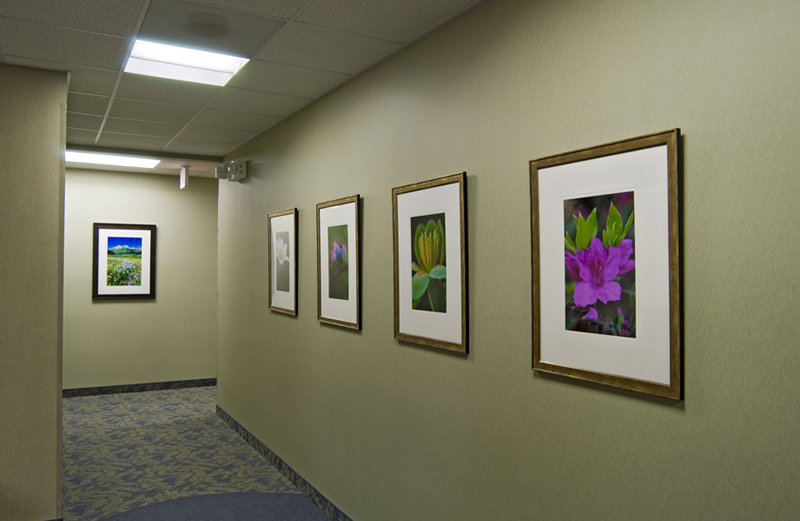 Large photographic panels bring nature inside and offer a colorful distraction to long treatment sessions. 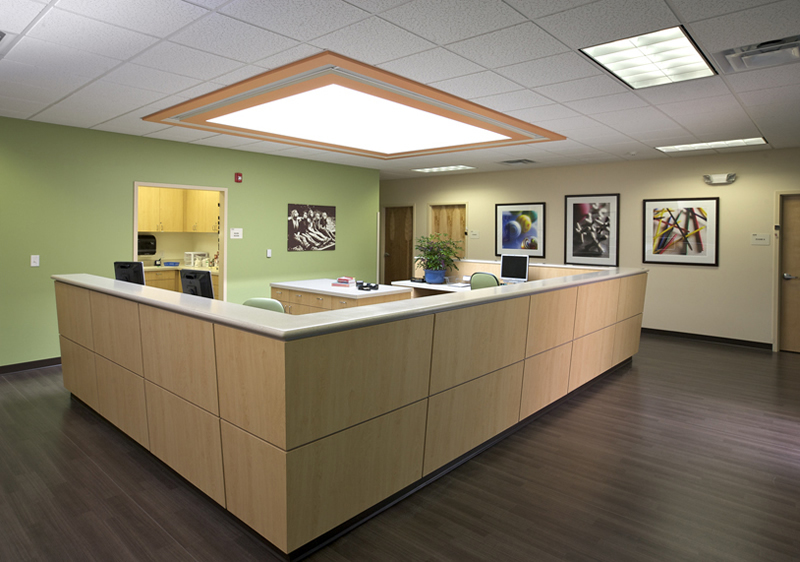 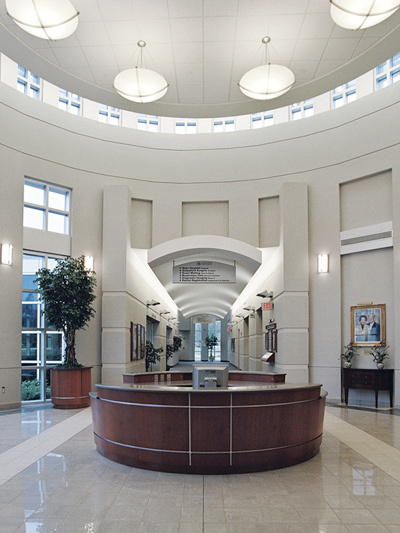 Hayden Design has provided extensive design services at LMH since 1998. 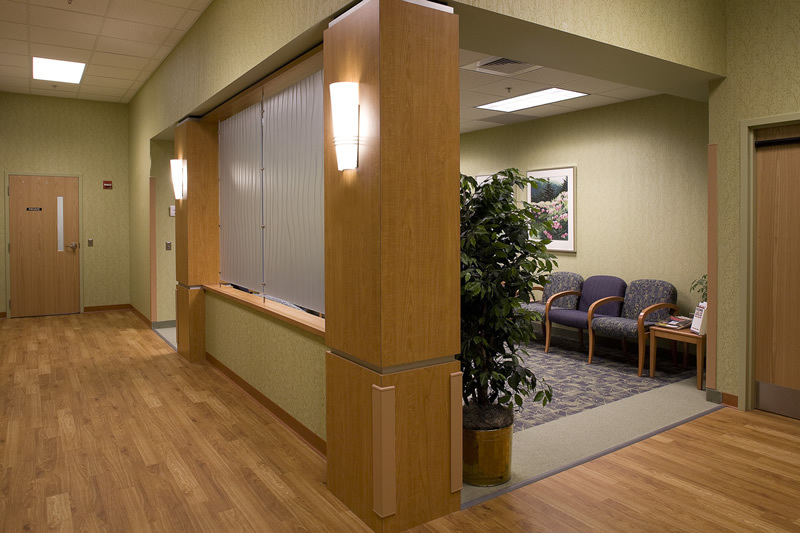 When they developed their Outpatient Center, they turned to Hayden Design to create a welcoming and functional space for their patients. 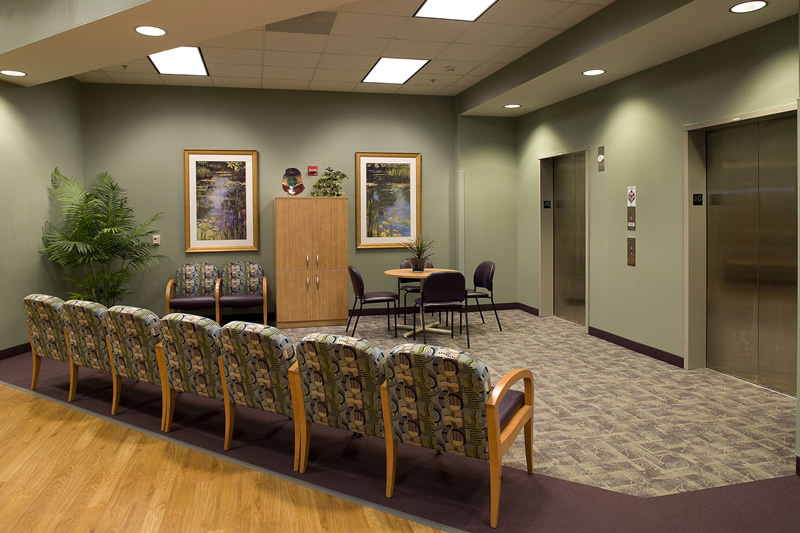 The Outpatient Center includes a spacious welcome center with a waiting room, Pre and Post Op areas, Radiology facilities and administrative areas. 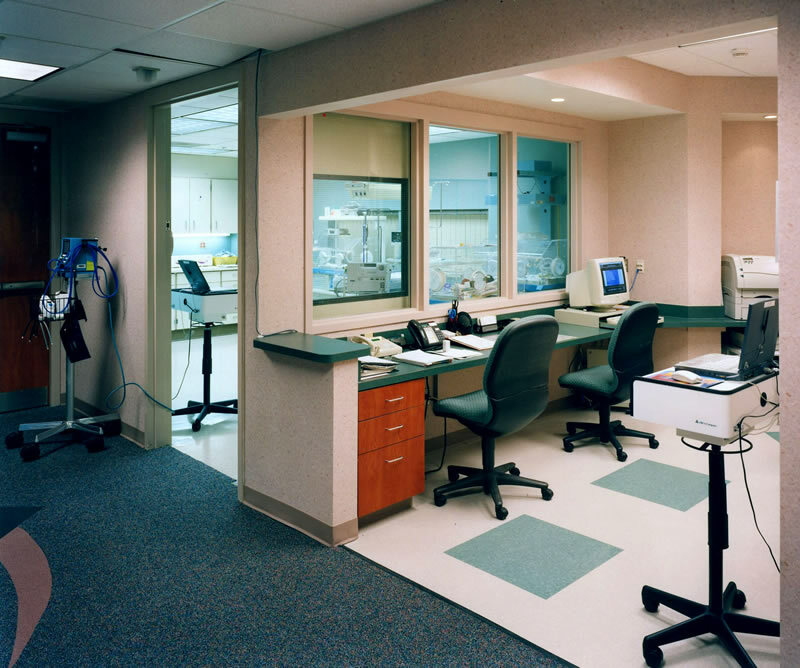 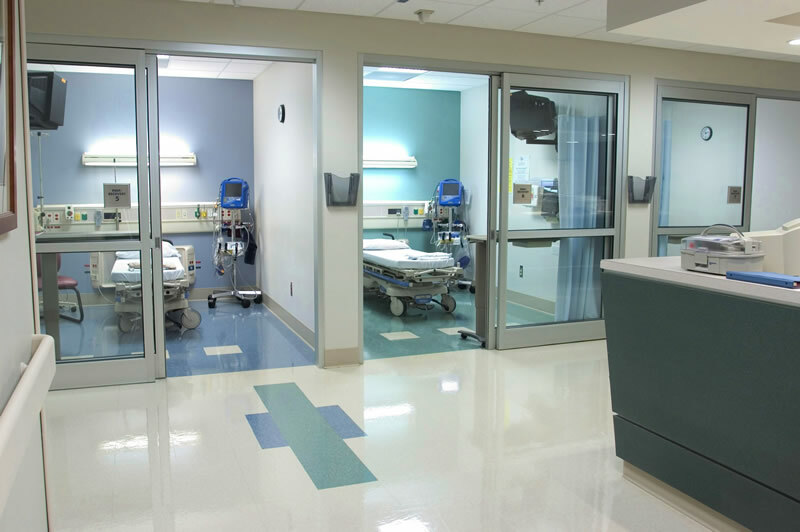 In addition, the Labor / Delivery and Recovery Area and Emergency Departments were renovated at the same time.